ABBAS GIVES SPEECH, SAYS PALESTINIANS NOW HAVE A STATE…….. – The Tundra Tabloids……. 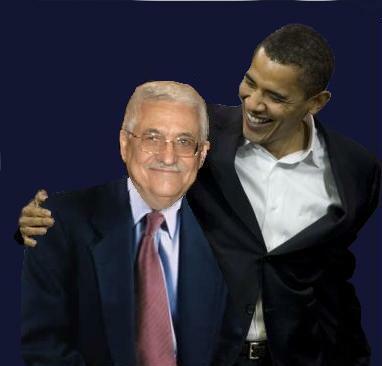 ABBAS GIVES SPEECH, SAYS PALESTINIANS NOW HAVE A STATE……..
Come on all you Obama/Israel supporters, how do you feel now? Obama: Moody, it’s called plausible deniability. PA president vows to pursue efforts to end the split between Gaza, West Bank, dedicates UN “victory” to late PA president Arafat, Palestinian prisoners in Israeli jail; Hamas calls for “urgent meetings” to resolve conflict. Palestinian Authority President Mahmoud Abbas Sunday vowed to pursue efforts to end the split between the West Bank and Gaza and thanked Hamas and all Palestinian groups for supporting his statehood bid at the UN. Abbas is but a nuisance. I’ll be surprised whether his diplomacy will result in reconciliation between HAMAS and the PLO. If it does, they had be careful what they ask for. One might wonder, what is Abbas’ goal in all this. It is no different than Arafat’s goal in 2000. Basically, the PLO and their HAMAS collaborators want to attack and kill Jews with impunity. To do this, they seek the protection of the UN. Lebanon has the advantage of being a sovereign nation. The PLO does not. To the extent they move forward toward being recognized as a sovereign nation, the more they can request UN forces to “control those pesky terrorists we can’t control”, much like Lebanon. They know the UN can be counted on to protect anti-Semitic murderers. That sir, is their goal. Turning back the clock, the first thing Yasir Arafat asked for during the riots of 2000 was UN peacekeepers. The U.S. said “no way!” Sec. of State Albright was one step from getting Arafat to call off the riots when our good buddy President Jaques Chirac barged in and told Arafat in essence: “Stick to your guns. We’ll (France) get you those peacekeepers you want.” Arafat barged out the door with Albright chasing after him. The rest is history. Long before liberals were blaming George Bush for causing French animosity toward the U.S., this animosity existed in the leadership of Jaques Chirac. It was never Bush’s fault any more than it was Clinton’s fault. It was Jaques Chirac’s fault. Now there’s a “new Sheriff in town” in France. Chirac’s willingness to push for UN peacekeepers in the wake of Israeli/Arab fighting may or may not be a portion of French foreign policy. I think it’s something to keep an eye on. Already, they are meddling in Syria. In conclusion, Abbas is nothing more than a nuisance. Arabs have no more sovereignty in Palestine today than yesterday. The danger lying ahead is whether they can finally obtain the full level of protection (military and diplomatic) they seek in their effort to murder Jews.